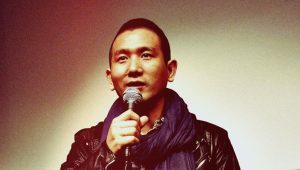 Midi Z is a Myanmar-born Taiwanese film director. He studied Film Directing in Taiwan. In 2009, he was named one of the most prominent directors by the Taipei Golden Horse Film Academy. Return to Burma, his debut feature, was selected for the Tiger Awards Competition in 2012 and The Palace on the Sea led to a Tiger Award nomination in 2014. Midi Z’s Ice Poison (2014) won Best Film in Edinburgh and represented Taiwan at the Foreign Language Oscars. Jade Miners (2015), his first documentary, was selected for IFFR 2015. The Road to Mandalay is his 4th feature.